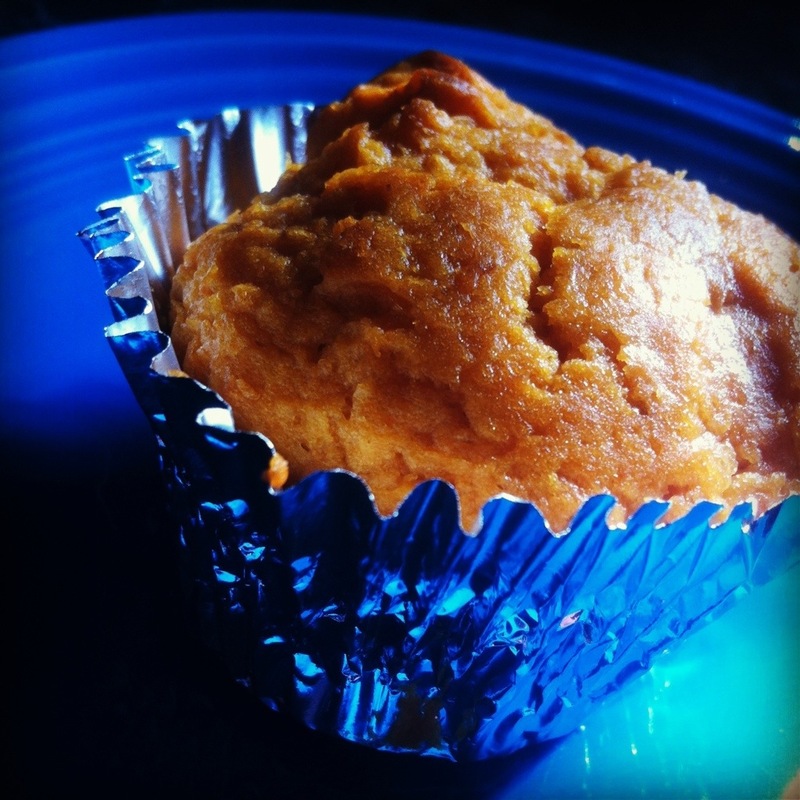 This pumpkin muffin recipe is a simple, quick, and healthy way to welcome the Fall season and enjoy the pumpkin flavor we’re all so fond of! 2. Line your muffin pans with foil muffin wrappers. 3. Spray your muffin wrappers with nonstick cooking spray. TIP: If you prefer not to spray the muffin wrappers, the foil ones will not stick as much as the paper wrappers. 4. 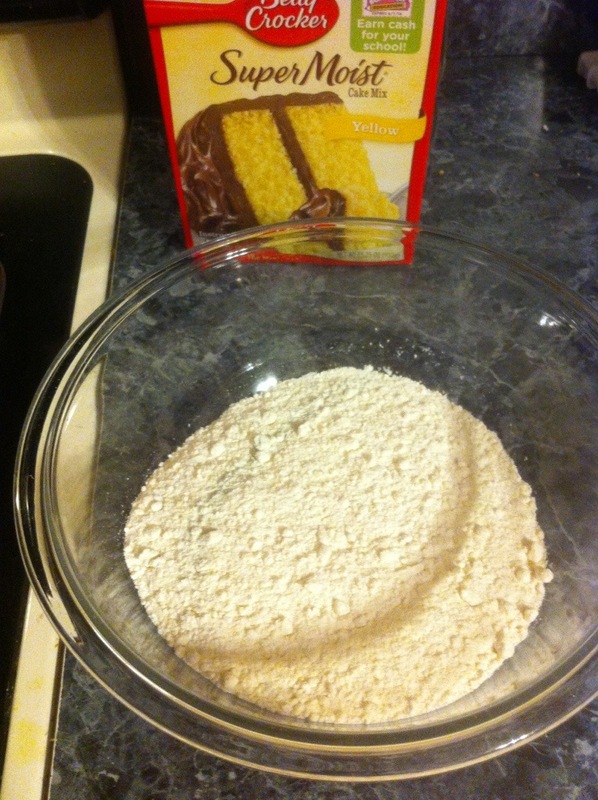 Pour the contents of the box of cake mix into a bowl. 5. 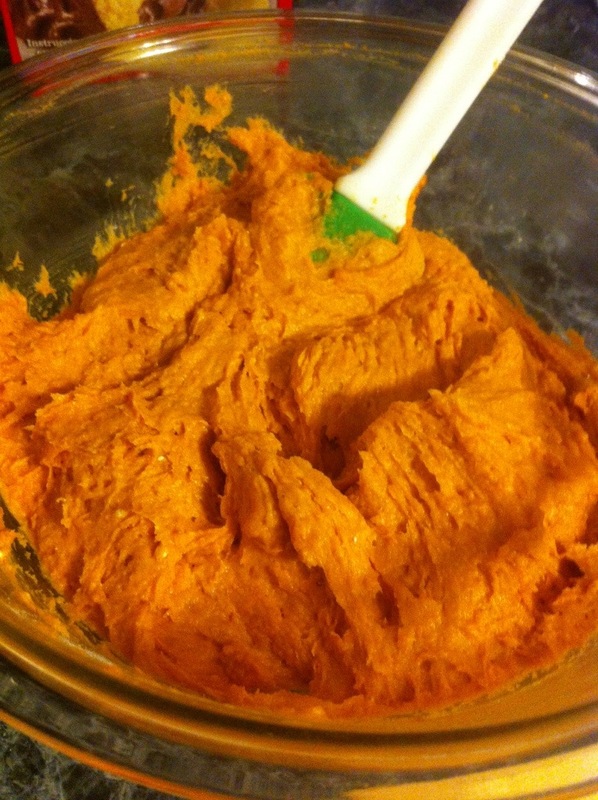 Open the can of pumpkin purée and add it to the bowl of cake mix. 6. 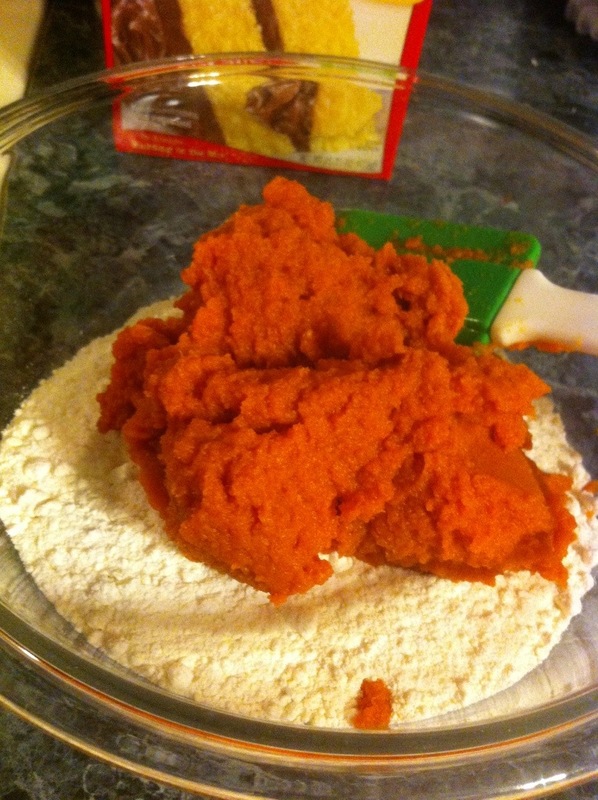 Mix the pumpkin purée and cake mix together until you can no longer see the cake mix. 7. 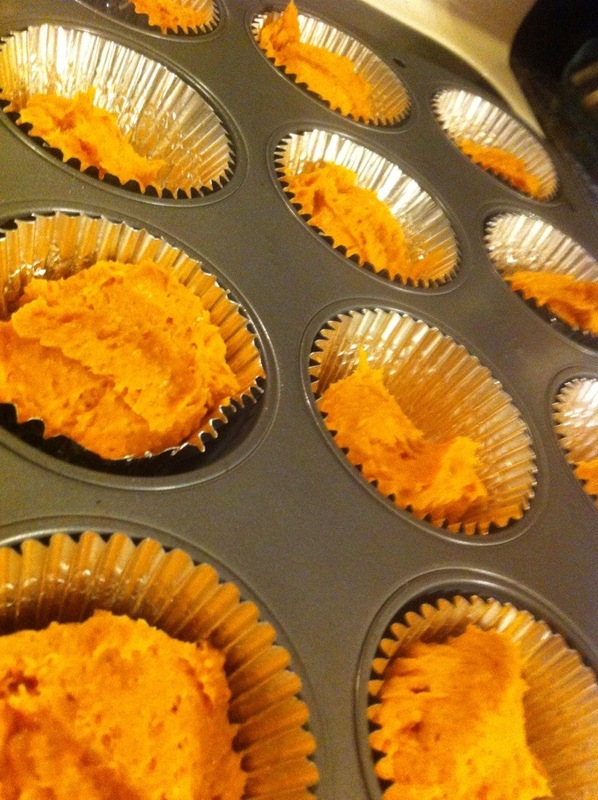 Using a spoon or an ice cream scooper, fill each muffin wrapper halfway with the mixture. TIP: Prefer bigger muffins? You can fill the tins even more, however the recipe will yield less muffins. 8. Put the muffins trays in the oven and bake for 20-25 minutes. 9. Immediately remove from the muffin tray and all the muffins to cool on a cooling rack or plate. If you’d prefer the muffins to be even more moist you can use a larger can than the 15 ounce can (or 1 1/2 15 ounce cans), however be careful not to use too much or they’ll be soggy. 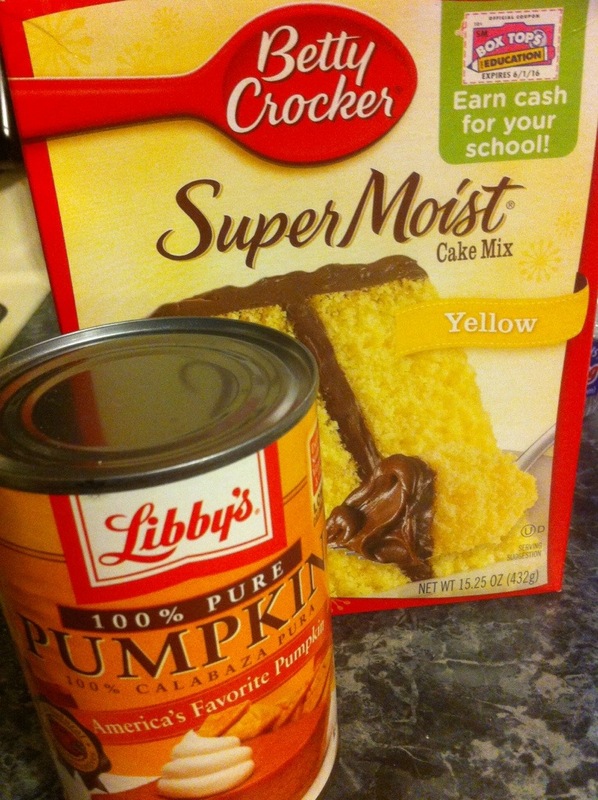 Another option, which I plan to try next, is to use a box of spice cake mix instead of the white or yellow cake. 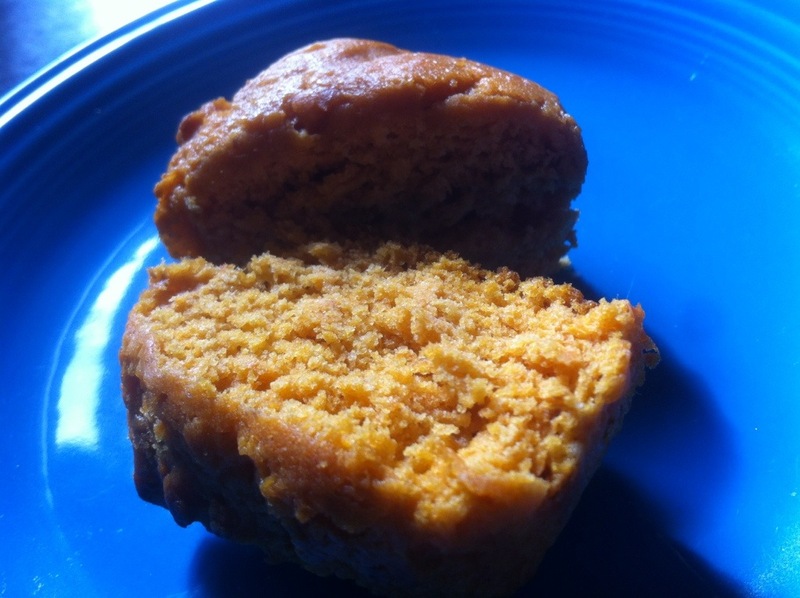 I found this two ingredient pumpkin muffin recipe on Pinterest and since it’s been posted by many people I can’t be sure who exactly came up with this brilliant recipe. This New Trumbull Restaurant is PRIMEd and Ready to Go! Don’t you love these kind of recipes? Especially when you’re jonzing for something sweet in a hurry! I totally love recipes like this and I love Pinterest even more when I find them on there!They are so quick and easy to make. It’s so easy and pretty tasty – it’s one of my husband’s favorite recipes!